JOIN HANDS. OPEN YOUR HEART. LEND YOUR MUSCLE. GIVE AN HOUR. GIVE A SATURDAY. THINK OF WE BEFORE ME. 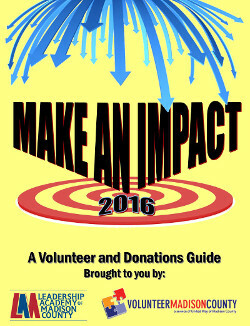 (VMC) is a resource for Madison County residents and non-profit agencies to connect with volunteerism throughout the community.